Put yourself in the role of a vulcanologist: You have just returned from a scientific expedition to Réunion and have been invited to your local primary school to talk about your trip. Your task is to research the la Fournaise volcano. You will prepare a talk for primary school children on the volcano and write up some activity sheets for them. Brainstorm the topic. Use this time to organise your ideas. Check through the optional extras pages to see if any are relevant to your topic. Use the Research notes sheet to record and organise your facts and the sources you have used. It would be a good idea to print off this sheet and get it enlarged to A3 size. Write a Weekly log to keep a record of what you have accomplished and to list your next steps. Write a talk of about 4-6 minutes. Prepare student worksheets and indicate what year level they are suitable for. Fill out the Evaluation Form and give it to your teacher with your research assignment. Consider why you would want to go to Réunion island. 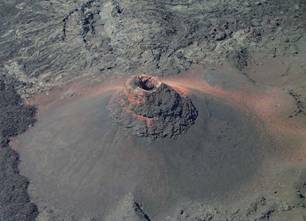 Consider comparing La Fournaise with a different type of volcano eg Krakatoa. Consult with other students researching the same topic so that you can share your findings. Think about the form of your talk (eg Power Point presentation). You are required to give a 4-6 minute talk and prepare a number of student work sheets that relate to your talk. You must include a bibliography that lists all of your sources of information. Participating in this research task should enhance your understanding of types of volcanos and specifically those that are typical of Réunion. You should develop a better understanding of the connectedness and interdependence of present day systems in Réunion. You will gain experience in using the computer as a research tool and may develop further skills in using technology to present your work. See the weblinks for a summary of Online references. Offline references (used in creating the text pages). It’s a good idea to note the source of any facts that you locate. You can use it to list your sources in the bibliography. You might also need to go back to a web site to check up on details. Directions: Once a week, while you are working on your research task, make an entry in this log detailing what you have accomplished. Then plan what you need to accomplish the following week. What difficulties (if any) did you experience during the course of this assignment? What changes would you make to future assignments? Are there any other issues about your assignment that you would like to discuss?